This is a somewhat disappointing locality, but it is included here for completeness. 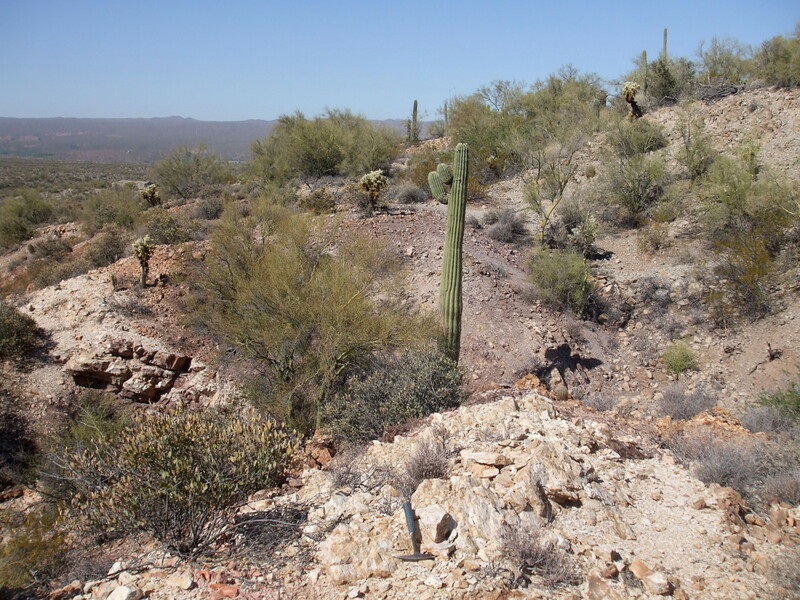 The coordinates were taken at an emplacement contact between a Tertiary diorite intrusion and the Naco Limestone. 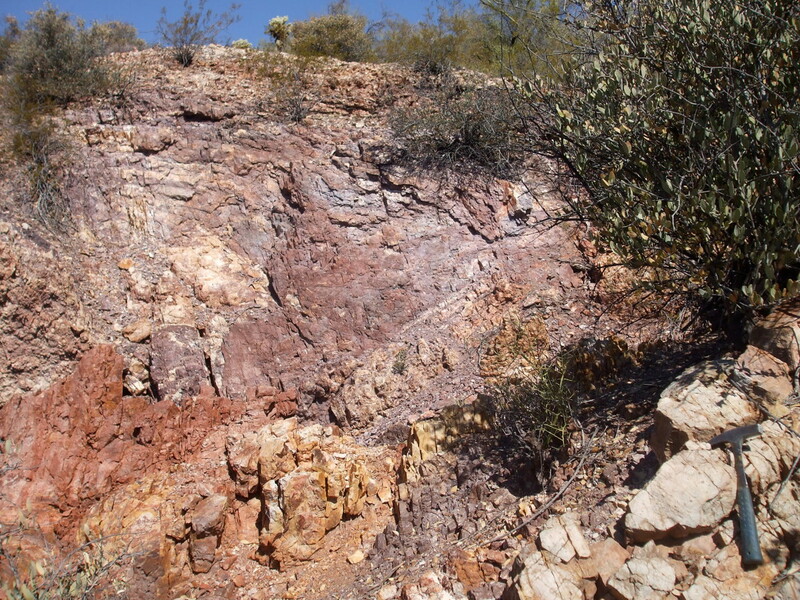 Apparently, there was very little fluid exchange and/or the Naco Limestone was not 'dirty' enough, as the contact zone is small, the limestone was dominantly silicified with no metasomatic mineralization, and brachiopod fossils are still readily discernible. 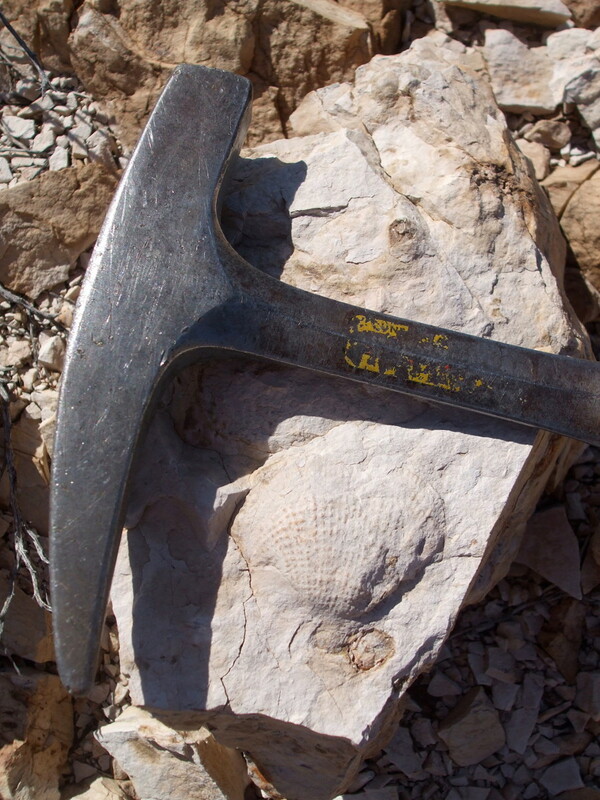 The Naco Limestone is highly fossiliferous, which is nice to look at and collect, but there are no contact metamorphic minerals to be collected here.